Our Price £21.00 Another currency? Learn how to help people with the "How to be a Life Coach" ebook. Life coaching can often be confused with counselling, but they are not the same thing. There is some overlap in that as a life coach you are helping a client with their difficulties, but it is not a therapy. A counsellor encourages the client to see what their problems are, and then to come to a solution that suits them - it is more problem-focused. A life coach, on the other hand, can be more directive in their approach. They may offer advice to the client and help them to set goals and targets so as to achieve what they want - it is more solution focused. Furthermore, counsellors deal mainly with client problems which are seriously affecting their lives whereas a coach deals with things the client would like to achieve or improve. There is an assumption that life coaching clients are mentally healthy and have the intellectual capability and determination to succeed. Life coaching does not have to stop once a client has achieved a particular goal. The coach may stay with them to make sure they keep on track, and new goals may be set. Counselling usually ends once a problem or issue has been overcome. 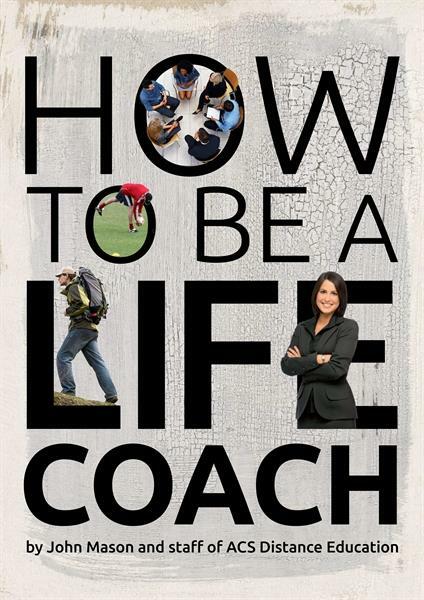 Written by John Mason and Staff of ACS, this ebook is 67 pages and a great introduction to your career as a Life Coach. Who becomes a life coach? Who do life coaches work for?